With that new Bumblebee movie coming out, the subject of Transformers Ethics and Culture has been gaining increased attention and scrutiny lately. 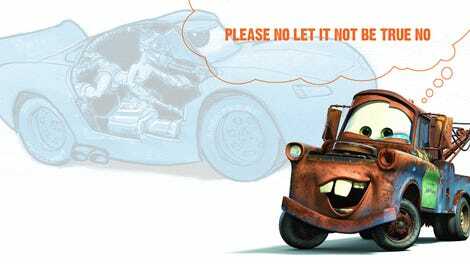 This national focus has caused many Transfomers scholars to ponder some complicated questions, such as this ethical pickle: if a Transformer dies, is it disrespectful to drive them around in their car form, as you would a conventional car? It’s a question a child might ask, but not a childish question. What makes this such a difficult question to answer is that, fundamentally, this is a cultural question, a question about religious beliefs and, perhaps most importantly, eschatology. Fortunately, the religious beliefs of Transformers are surprisingly well fleshed-out and documented, a pretty remarkable thing for a line of toys that folded from cars into robots and then became a cartoon series and then a series of expensive movies. In fact, they may have the best fleshed-out religious beliefs of any giant robots in the history of human literature. Even their eschatological beliefs are well-established, so let’s start there to get a sense of how Transformer culture will react to you driving around a dead one like it’s your car, you ghoul. Transformer religion is based around worship of an entity known as Primus, a creator-god-like being who has been around since the beginning of the universe, and eventually transformed himself into the Transformers’ homeworld of Cybertron. Primus’ lifeforce, a concept similar to the Judeo-Christian soul, is known as the AllSpark, which is a key component in their creation myths—the AllSpark is what literally makes life possible for Transformers. The AllSpark is actually made up of the individual sparks of all Transformers. These sparks are, again, analgous to the concept of a soul, though unlike the Judeo-Christian soul, they have a physical manifestation. This spark resides deep inside all Transformers, and as long as the spark is intact, the Transformer can be considered alive. Transformer-like robots without sparks have been present in the Transformer universe, but they are not considered to be truly “alive” by other Transformers, being close to what we would think of as a normal robot. They’re called “sparkless drones,” and in a situation where one of these was destroyed, Optimus Prime himself counseled against noting or mourning its loss as they would a Transformer with a spark. Transformer afterlife talks of how, upon the moment of a Transformer’s death, their spark returns from where it came, to the eternal AllSpark, where their experiences and being merge with the greater collective of sparks. So, when it comes to Transformer death, the real key seems to be the status of their spark. No matter how damaged a Transformer’s body is, if the spark is intact, they live. A spark may even be transferred to an entirely new body as a way of “resurrecting” a Transformer. 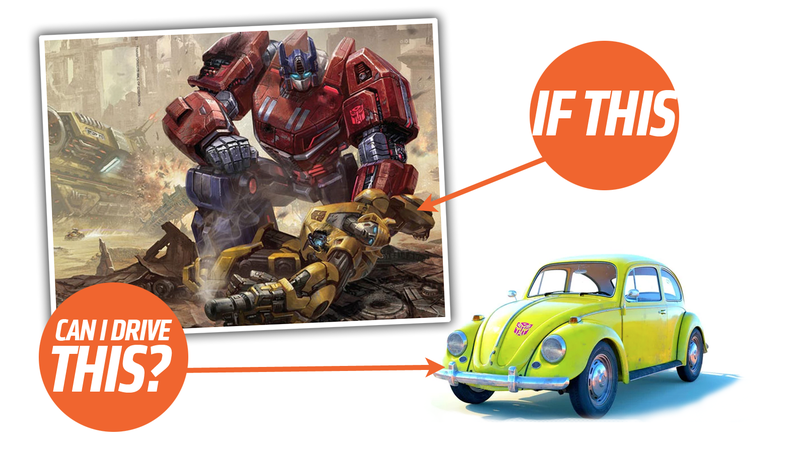 With this in mind, we can deduce that the mechanical body of a Transformer is not sacred; the spark is what matters. So, with that in mind, if you happen to have a Transformer’s body that its spark has left or abandoned or had been destroyed, then the body itself is of little spiritual or cultural consequence to a Transformer and/or Transformer culture. Therefore, I think if you are in this position, and can transform the body into the vehicular form, you should be able to drive it around without being disrespectful to Transformer culture. In fact, there even may be a human precedent for how doing so could be taken as an act of respect: the ancient Aztecs had a tradition known as Xipe Totec. The rituals around Xipe Totec is about as close as humans have ever come to driving around in a dead Transformer. One of the key rituals involves wearing the flayed skin of a sacrificed person to honor the god, who was said to have flayed himself in order to give food to humanity. It was an honor to be worn in such a ritual, as unpleasant as it may sound to us. Driving around the car form of a deceased Transformer can echo the Xipe Totec ritual; the ‘shell’ of the being, minus its soul/spark, is caused to be ‘re-animated’ via the presence of a ‘driving’ living human. This combination of the spark being the seat of Transformer life, and the presence of at least one human tradition that at least comes close to mirroring this act leads me to believe that, yes, you can drive a dead (again, be sure the spark is gone) Transformer in car form without being disrespectful. That said, a Transformer has a lot more hardware than a conventional car, and I’d think in vehicular form a Transformer has to be thousands and thousands of pounds heavier than a normal car of similar dimensions. I’m not sure a dead Transformer is really all that great, from a purely automotive perspective, but, then again, if you’re doing this to honor a dead robot friend, you have my blessing.